Skiing is incredible. The sensation is like flying over the snow in magical places. If you want to live a great experience during your Italian holiday on the snow, you have to know a lot of things, and I would like to help you. That’s why I wrote some advice on skiing in Italy. First I would like to tell you that you can ski not only in northern Italy, but also in southern Italy. 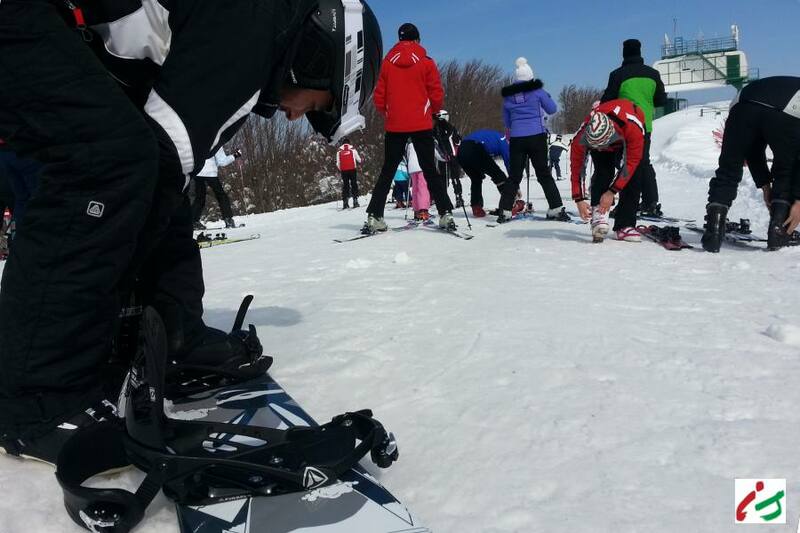 Soon we will tell you where to ski in Calabria and what other kinds of activities you can do there. You can already read about skiing in Lombardy, Piedmont and Friuli for the moment. In Italy it is possible to practice many other sports related to ski. Here are some suggestions. Skiing is not easy. It improves your body and for that reason you should do something for your muscle tone before. It could be a big problem if your legs don’t work well when you need them. Check if you have winter tires or chains, which are important when it snows and compulsory in a lot of highways and statal roads. Please remember that in the Alps everyone has got winter tires and some streets are not well cleaned, because they don’t need it! It is also important to try to mount chains first at home, because it is very hard to do it during a snow storm if you have never tried it before (I experienced it once, it was impossible to do!). Buy a de-icing spray and put anti-icing water inside the glass cleaner and when you arrive it is better to fill your car with winter fuel, that is good with very low temperatures. If you don’t want to have all this kind of ‘problems’, look for a place that you may reach by plane or train. A good idea could be to use the Pustertaler Express (we are going to speak about it next week) in South Tyrol. A lot of hotels have a mini bus connection with ski slopes and an agreement to get discounted ski passes. Look for one of these if you would like to relax more. Nowadays it is possible to have technical equipment clothes not very expensive thanks to big sport stores, but if it is your real first time on a snow holiday it is better to ask your friends if they can lend you the clothes you need. You must have waterproof ski pants, ski jacket, shirt with technical tissue under it, hiking boots or moon boot, ski or wool socks, balaclava or ski mask, ski cap, gloves, eye mask (ask for one that could be good both with sunny weather or snowy) and sun lotion. Eventually it could be safer to have also a back protector. Do not wear too much things, it’s so tiring to ski and you might swear a lot. It’s always better to rent them because today they rent you good quality equipment that is always new. The only thing that would be better to buy could be the boots because they are the most ‘personal’ thing. Rent your ski / snowboard just under your slopes because it is difficult to find the perfect boot for every feet, so if something goes wrong you can change them immediately. They would ask you your weight. Remember: don’t lie! It’s dangerous to tune skis for an incorrect weight. It is also important to tell your ski level to choose the right ski for you. If it is your first time, you have to choose depending on your personal tastes. The only thing that you must know is that is more rapid to learn to ski. You must ask for boots, ski, snowboard, helmet – it’s obligatory if you are under 14 years old, but it is always better to wear it. It must have the number EN 1077 inside as well as the abbreviation CE -, ski rackets, wrist and elbow protection for snowboard. For ski passes ask information in your hotel at the reception. If it is the first time you ski maybe it is better to buy a ski pass for one day. After you tried it, you can decide to buy ski pass for the following days. Skiing is not so easy, and I have friends that after the first day just want to relax in a spa. If you are sure that you can, I suggest you to buy a ticket for more days because it would cost less. It is better to go during the week. Slopes would be emptier because there is less people. 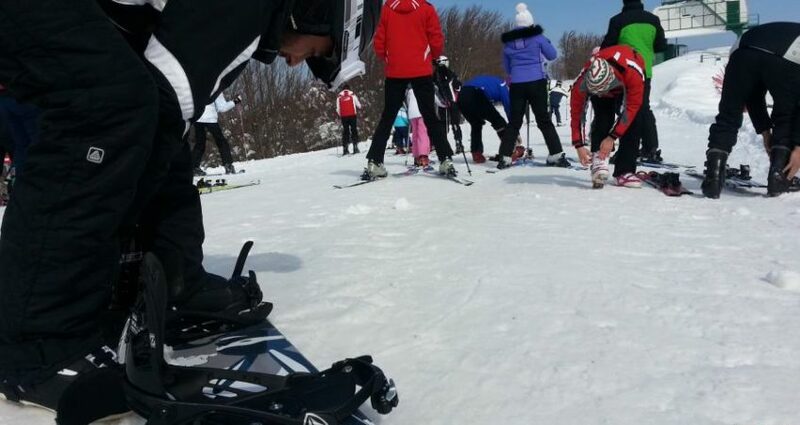 Teachers are very good and helpful, always ask for lessons if you are a beginner or not very good at ski. 7) What do you have to put in your backpack or pocket? You must take only the things that you really need. Usually I bring a little bottle of water, some paper towels, and one undershirt and sweater to change them if I stop in a place for a long time because I swear a lot, protective lip balm against cold and sun and a piece of chocolate. Among our advice on skiing in Italy this is the most important to know. Italian rules for skiers are very strict and you can find the police on the ski slopes. Every skier has to behave good. You could not endanger other people taking too much speed and your behavior have to be appropriate to your ability and to the general conditions of the track, like visual, time and intensity of traffic. Overtaking can be carried out both, upstream and downstream, on the right or the left, but always at a distance to the other skiers. It’s very important to be able to read the safety signs. There are 4 types of messages. Obligation: round (they are 3 and they indicate the obligation to follow a certain direction, to wear helmets for children under 14 years or to use snowboard). Pay attention also when the weather conditions are not good, for example with a storm of wind or snow, or with high temperatures. 9) Don’t you like to ski? If you prefer to do something else than skiing, maybe it could be an idea to have a toboggan and to use it into its reserved tracks. Don’t think that it is safer because it depends on how fast you go. It could be really funny. In some ski areas you could have night skiing or night tobogganing. Please note that it is more dangerous than during the day and you must have a light on your helmet and a reflective vest. I don’t want to tell you to be scared about it, but you have only to be prudent. The mountains are the perfect place for a holiday but you have to respect them if you want to enjoy your time. Now you are ready for your ski holiday. Enjoy and try Bombardino, a typical drink to warm you up!